Our ancestors knew that it takes a village to raise a child. I believe it also takes a village to grow a mother. In times gone by new mothers were revered as the creators of life and were cared for with hot meals, massages, bed rest and round the clock companionship from their sisterhood. Today new mums often feel under pressure to bounce back into the office and into their skinny jeans before their baby can even sit upright. We are bombarded with images of celebrities showing off their toned bellies weeks after birth, while the media loves to tell stories of ‘the supermum next door’ who built a multi-million pound empire while her newborn napped. The reality is, motherhood can feel exhausting, thankless and relentless. Wading through piles of dirty laundry, snacking on sugary junk food and hiding a belly behind baggy jogging pants, we can lose sight of who we really are. Having 3 children in under 4 years left me exhausted, lonely, and wishing my life away. I felt trapped in a body that I no longer knew, a house that felt like an endless ‘to-do list’ and a routine that felt mundane, monotonous and mind-numbing. Watching my beautiful babies grow would only reiterate the feelings of guilt – how could I want more when I had created these perfect little beings who I adored so completely? While friends around me seemed to revel in motherhood, I felt confused, frustrated and stuck. I missed my old life and wanted to feel like me again. During this time of tough transition, my one constant was my yoga practice. However tired or fed up I felt, I would drag myself onto my mat and start to breath and to move. Coming back into my body and connecting to my breath made me feel alive and connected again. My passion is to help all new mums to reignite that connection with themselves, to feel comfortable in their transformed and amazing body and to navigate their way through motherhood with a sense of calmness. I offer a range of movement programmes to help facilitate this. 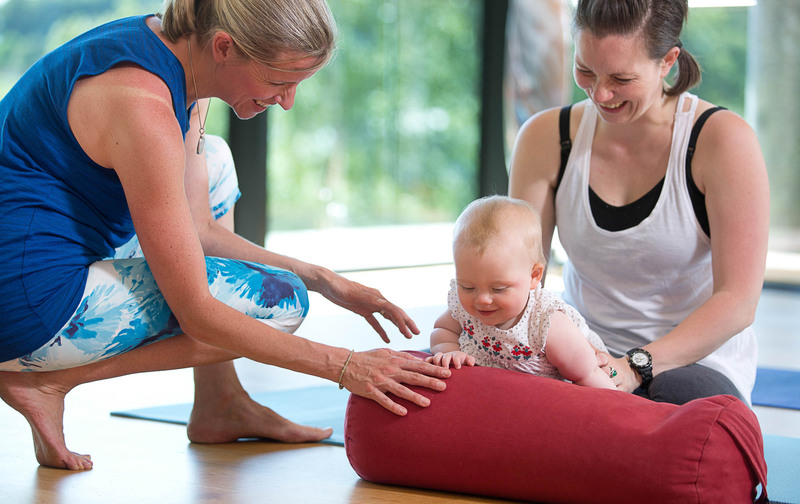 From our popular post-natal yoga class in Wetherby, to bespoke Mindful Movement for Mums sessions, I aim to give you the tools to take control of your post-natal healing for both body and mind. Please contact me for a no obligation chat and to see how I can help you.